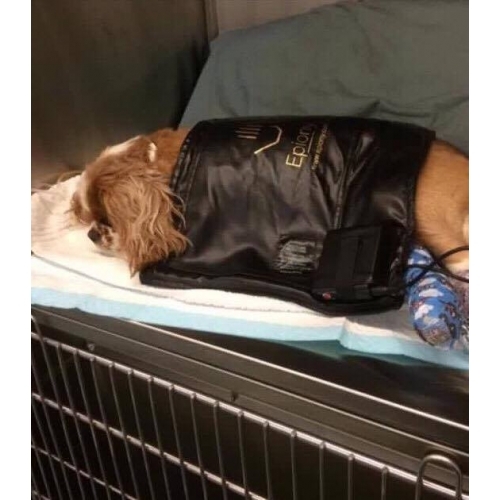 A Epiony Therapy Heat Pad - One Size Fits All. 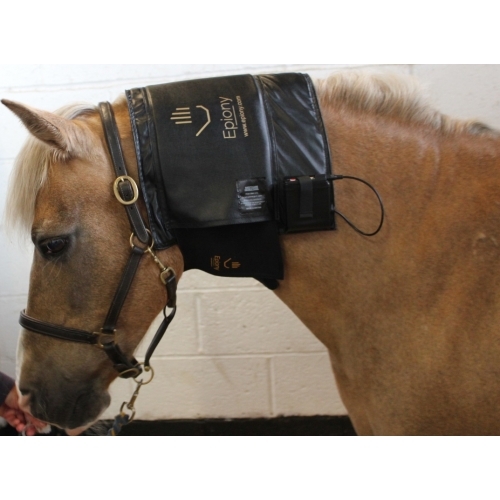 The Epiony Heat Pad has been designed to be used on Humans and All Animals. A lightweight and portable heat pad designed to offer effective, affordable and easy to use heat and relaxation therapy for all horses, humans and animals. The Heat Pad has been made from a light weight super soft leatherette fabric combined with heat resistant insulation wadding to trap and reflect the heat back onto the muscles to sooth and relax them. Heat therapy dilates the blood vessels of the muscles. This process increases the flow of oxygen and nutrients to the muscles, helping to heal the damaged tissue and increase the elimination of carbon dioxide and metabolic waste. Epiony have safety as their first thought, the battery has a special built in thermostat to prevent from over heating. If the battery becomes too warm then the battery itself will turn off automatically. 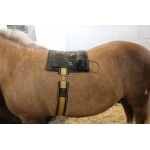 The battery pack is mobile and can be moved from the heat pad onto the neoprene waist belt. The logo has been created out of a gold foil which really adds the finishing touch. 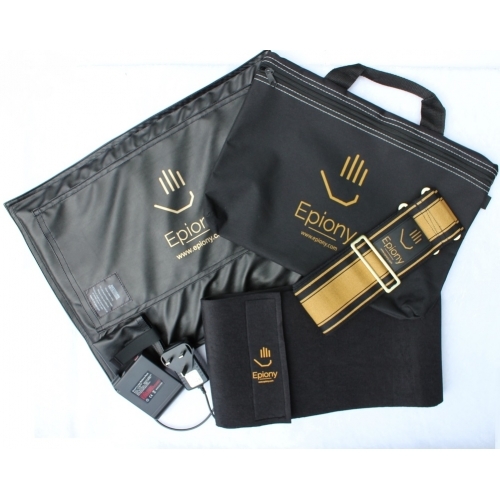 Epiony are supporting the British manufacturing industry and have had the heat pad made in Britain. The Epiony Therapy Heat Pad is a Total Must Have for All Stable Yards and it is Ideal for All Horses, Humans and ALL Animals!